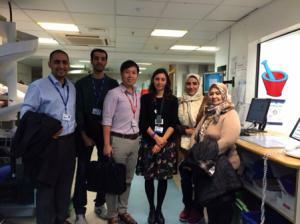 Last summer, the WHO Collaborating Centre hosted a delegation from China for a study tour to witness first hand the UK NHS. 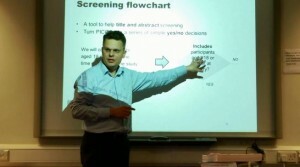 Study Tours are organised in collaboration with Colleagues from the NHS and are hugely valued opportunity for professionals from other countries to familiarise themselves with the organisational intricacies of the British National Health Service, which serves as an example to other health systems. The first week of July (3- 7) will be marked with another edition of Advanced Leadership course run by WHO Collaborating Centre for Public Health Education and Training. The course will take place at WHO CC, London, with external visits as part of the programme. It will be attended by Chinese delegates. Advanced Leadership course is one of the flagship courses run by WHO Collaborating Centre for Public Health Education and Training. It is aimed at Policy makers, health managers, heads of clinical and administrative departments, health professionals with an interest in management, and other interested stakeholders. It is an interactive training whereby participants are inspired but also challenged and allowed space for self-reflection and development. We offer training sessions that are tailor-made for participants and their professional needs as well as the current public health climate. Like every year, WHO Collaborating Centre is organising a trip for MPH students to WHO Headquarters in Geneva. The trip also includes visits to the Global Fund, the IRC, MSF and the UN. 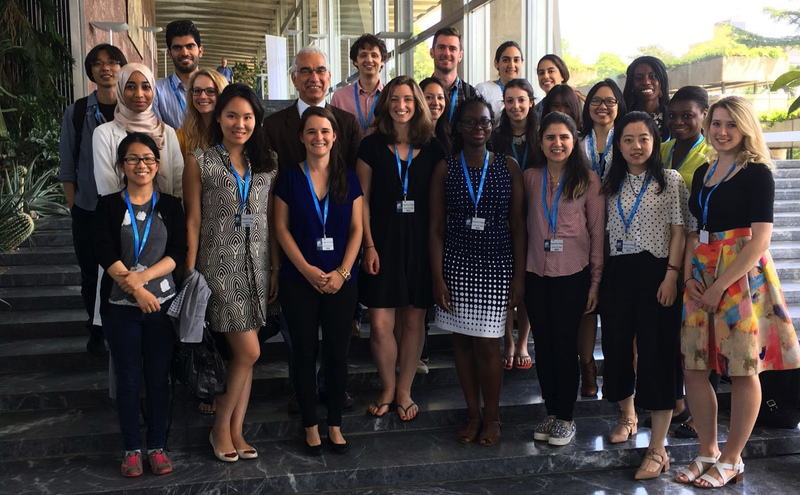 On Wednesday June 17 2015, 39 students from the MPH traveled to Geneva for an educational visit organised by the WHO Collaborating Centre for Public Health Education and Training. 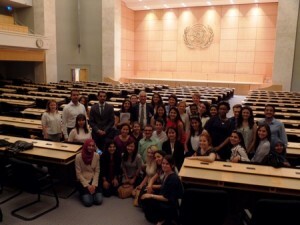 For three days, students attended talks at the WHO, MSF, UNHCR, the UN and Global Fund. They learnt about the work of international health organisations and attended talks on health systems and innovation, the global observatory on health R&D, evidence-informed policy, health system financing and the global burden of NCDs. 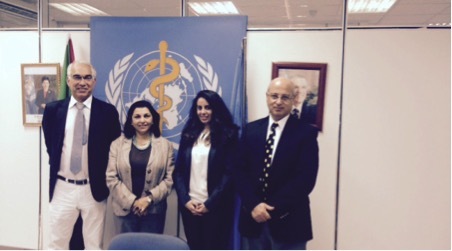 They had the opportunity to meet public health experts such as Dr Najeeb al Shorbaji and Nicola Magrini. Students were extremely pleased with the trip and they returned to London with an unforgettable experience, advice about their future careers, and connections with key public health leaders. The conference will be held at Imperial College London, South Kensington Campus, from the 29-31 October 2015. 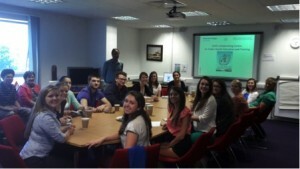 On a hot afternoon of 11 June a group of 32 American Public Health students from the East Carolina University came to learn more about the NHS and Public Health in the UK. The group was led by J. Don Chaney, Associate Professor and Chair in the Department of Health Education and Promotion and Professor Karen Vail-Smith. They were given presentations by the team from the WHO Collaborating Centre on the work of the Centre; Professor Azeem Majeed talked to the students about the work of the Department and the different roles of an UK GP in comparison to the American Healthcare system equivalent. 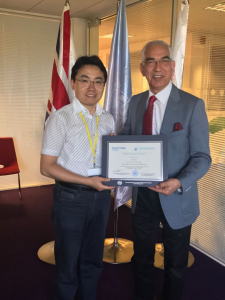 Dr Austen El-Aosta presented the English NHS from its conception till the actual times, and Dr Alex Chen engaged the group with a very passionate presentation on organ trafficking problem in Asia. The group shared a very positive feedback and are planning to make this a regular yearly event. 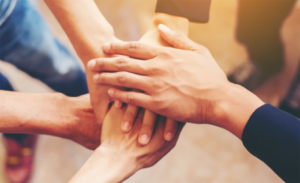 The links between the WHO Collaborating Centre for Public Health Education and Training at Imperial College London and the Ministry of Higher Education and Research, Iraq have been growing strong for some time. The connection has now been sealed with the Face-to-face meeting on Tuesday 2o January 2015. 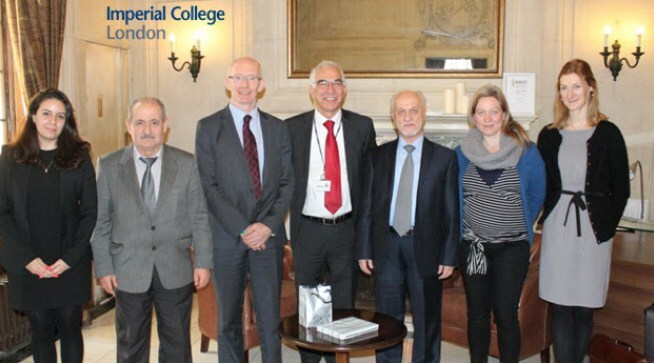 Representatives of the WHO Collaborating Centre (Director: Professor Salman Rawaf, Dr Sondus Hassounah and Ms Ela Augustyniak) had a privilege to meet Minister of Higher Education and Research, Iraq, His Excellency Professor Hussein Al-Shahristani in person over lunch at South Kensington Campus, Imperial College London, 58 Prince’s Gardens. His Excellency was accompanied by the Iraqi Cultural Attache Professor Musa Almosawe. Professor Al-Shahristani is a graduate from Imperial College London Chemical Engineering, and we are delighted that the Head of the Department of Chemical Engineering, Professor Andrew Livingston joined the group alongside Mrs Clare Turner, representative of the International Office at Imperial College London. It is not surprising that the discussion had a reminiscing part where HE concluded building of the Chemical Engineering Department was very much as he remembered it from 50 years ago, but obviously familiar faces are missing. Education remained at the core of the conversation; and although the development of the technologies seem to imply the inevitable turn towards online education sessions more and more, the party reached an agreement on the irreplaceability of the face-to-face interaction and its unquestionable value in the education process. “It is not the equations and theories we remember from our studies, it is the people and personalities and their impact”, was the commonly agreed conclusion. His Excellency is very keen to strengthen the links with WHO Collaborating Centre in supporting the development and strengthening Iraqi universities and in particular the new Medical University under development in Baghdad. He welcomed the training of many Iraqi academia over the last few years and he emphasised the importance of the continuation of such collaborative work between Iraq and I-C-L.
Dr Al-Shahristani was accopmapnied by Dr Mosa Almosawie, the Cultural Attaché: a well know academic and the immediate past president of University of Baghdad, the largest university in Iraq. 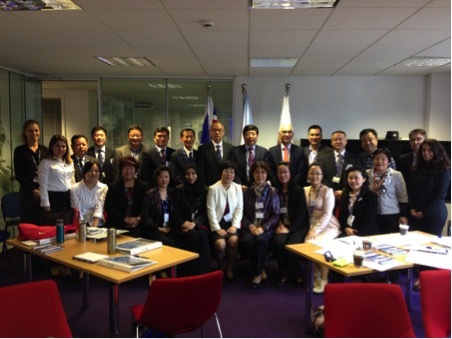 Imperial College London, through its WHO Collaborating Centre for Education and Training, ran its 7th Advanced Academic Training Course from 24 November until 19 December 2014. 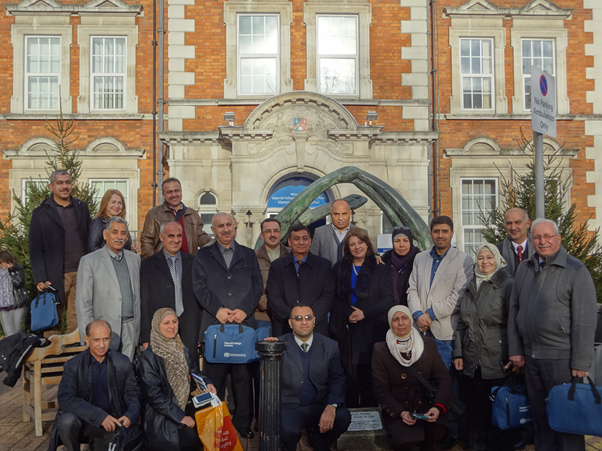 The course was established in 2011, following the collaboration between the Iraqi Ministry of Higher Education and Research and Imperial College London. The aim of the Advanced Academic Training Course is to introduce the new methods of teaching and research to medical and health professionals who work in academia worldwide. The course covers various aspects of skills-development disciplines, including communication skills, students’ assessment, Masters and PhDs examinations and small-group learning. Modern teaching and research skills development is achieved through interactive learning and hands-on experience through highly advanced skill labs, attending undergraduate students’ clinical teachings in primary care, community and hospital settings. Our WHO CC volunteer for the period between July and September 2014, Dr Jara Valtueña (ImFine Research Group/ Department of Health and Human Performance-Universidad Politécnica de Madrid, Spain), has been accepted to present a poster on the “Impact of the 2010 popular uprising: Ramification on morbidity, mortality and social determinants of health in four countries from the MENA region” at the RESCAP-MED 2nd Regional Symposium on Non-Communicable Diseases (NCDs) entitled “Socio-political Challenges in the Mediterranean Region: Implications for NCD Prevention and Control” which took place in Beirut, Lebanon from the 3rd -4th December 2014 . 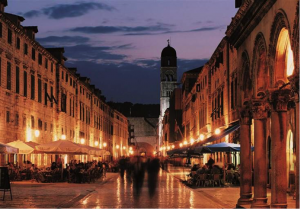 This Symposium aims to bring together researchers and public health actors to present, document and debate prospects for action in NCD surveillance, management, control and prevention, within the context of recent geo-political developments in the region. 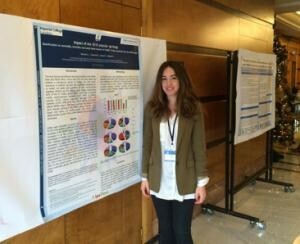 Her poster reflects the work she conducted with the research team at WHO CC, which she and the team are currently preparing for publication. 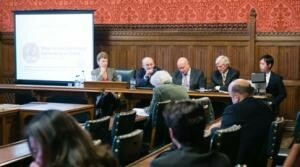 On Tuesday, 25 November, Dr Julian Huppert MP hosted a forum in UK Parliament addressing unethical organ harvesting from prisoners of conscience in China and how this pertains to residents in the UK. Guest speakers included David Matas and Hon. David Kilgour who were nominated for the Nobel Peace Prize for their investigative work on organ harvesting in China; award-winning research journalist, Ethan Gutmann, who’s book on this topic “The Slaughter” was published in September; and Doctors Against Forced Organ Harvesting EU representative, and our most recent PhD student, Dr. Alex Chen. Dr Chen presented on unethical organ harvesting from Chinese prisoners, and discussed the global responses from the international community in terms of legislation and the far sounding-impact on organ transplantation around the world. 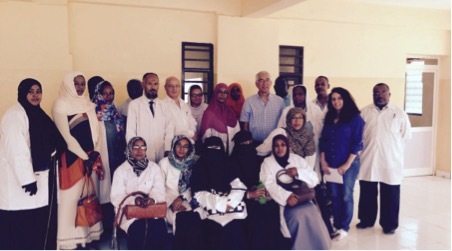 From 8 to 19 December 2014, the WHO Collaborating Centre hosted its first Health and Medical Research course for health professionals. For two weeks, 20 participants attended lectures by key researchers from the Department of Primary Care and Public Health on topics ranging from qualitative and quantitative research methodologies to setting international and national priorities for health and medical research. Participants were extremely pleased with the high quality of the course and the sessions and expressed their intention to implement what they have learnt in their own research institutes. In the last few months, WHO CC welcomed three new fellows: Dr Saad Al Saad, Dr Zahea Alnoumasi, and Dr Thamer AlOhali, all from Saudi Arabia. We trust their time with the Centre will be fruitful and satisfying , and will broaden their career perspectives fort he future. Professor Salman Rawaf and Marion Chaix both recently attended the Medhealth Cairo 2013 Conference to support the healthcare sector in the Middle East. It featured workshops and lectures on various topics from leadership to quality, safety risk management & IT. The Arab Hospitals Federation hosted the event, gathering 9 Ministers of Health on the AHF panel and discussing the “Investment in the adolescent health is the future of healthcare”. 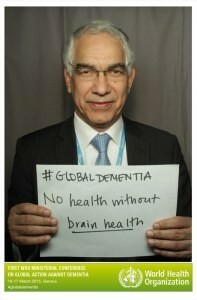 It was held simultaneously with the Arab Health Ministers Council. With participants from 16 different countries, 25 local and regional respected speakers, key decision makers and policy makers sharing expertise and experience with the attendees, the conference was a success allowing some of the biggest buyers and users to share experiences. The conference included workshops and interactive panel discussion in addition to keynote speeches delivered by regional and international experts. Professor Salman Rawaf delivered two workshops on situational leadership and on hospital management which were highly successful. During Medhealth Cairo 2013, the Arab Hospitals Federation has granted awards to several personalities who have contributed in developing the healthcare sector and implemented efficient strategies aiming to raise awareness and provide the Arab citizens with high quality healthcare services. 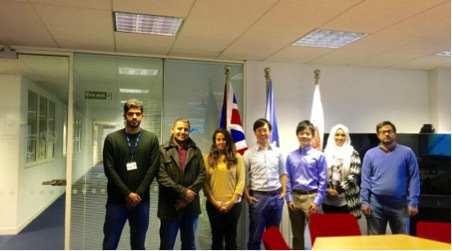 On the 21-22 March, the WHO Collaborating Centre for Public Health Education and Training at Imperial College London had the pleasure of hosting His Excellency Dr. Badran Al-Omar, the King Saud University (KSU) Rector and his accompanying senior delegation: Prof. Dr. Ahmed Bin Salem AlAmeri – Rector for Graduate Studies and Scientific Research; Dr. Abdurrehman Al-Moammar – Vice Rector for Health Specializations; Prof. Dr. Moaddi M. Almethhib – Dean of College of Business Administration; Prof. Dr. Khalid Ibrahem Alhumaizi – Dean of College of Engineering; Prof. Dr. Suleiman Alshammari – Deputy Chairman of Scientific Council of Family Medicine, Examination Committee and Health Education Center as well as Consultant of Family and Community Medicine; and Dr. Mezyad M. Alterkawi – Director of International Relations and Twinning Program at KSU, CEO of Riyadh Technology Incubation Centre as well as Associate Professor, College of Architecture and Planning. The British Federation of Women Graduates (BFWG) holds a ‘Research Presentations Day’ each year where women postgraduate students are invited to give short presentations of their research work. Doctoral Researcher, Elizabeth Dubois, from the Department of Primary Care and Public Health, was one of eight women selected to present on her PhD thesis “Health Checks in Primary Care: Steps to Improve Population Health”. Elizabeth was also chosen to present a poster of her PhD thesis to this year’s 42nd Annual Conference Society for Academic Primary Care (SAPC) to be held at the University of Nottingham, July 2013. The SAPC, a medical teaching society, supports high quality primary care research studies undertaken in the UK. 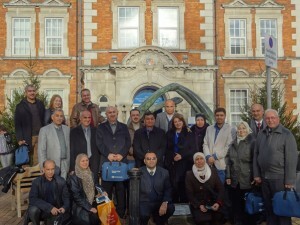 On the 22 April 2013 the WHO Collaborating Centre for Public Health Education and Training, Department of Primary Care and Public Health, welcomed a group of senior academics from across Iraq to Imperial College London. Ranging from medicine, pharmacy, nursing and veterinary science, 14 university staff were invited, in conjunction with the Iraqi Cultural Attaché and Ministry of Higher Education for Science and Research (MoHERS), to undertake an intensive four-week training programme. The aim of the programme was to strengthen current skills and teaching methods at an international level. The important visit also establishes opportunity for greater collaboration between MoHERS Iraq and Imperial College. Sourced in a rich history of medical education, Iraq was once described by the UN and the World Bank as having “first class medical facilities including well-established public health services, hospitals, primary care facilities and ample production and supply of medicine and medical equipment” (2003). Medical education in turn, was well developed with 12 established medical schools. Today there are now 20. With planned visits to NICE, the BMJ/BMA, the Faculty of Public Health, PBL Learning, the Centre for Clinical Practice, St George’s Hospital and Chelsea Westminster Hospital NHS Foundation Trust, this specially tailored training programme was designed to meet their needs and offered the visiting academics a useful insight into standards of good practice to share with academic colleagues back home in Iraq. Doctoral Researcher, Elizabeth Dubois, and Research Assistant, Dr Sondus Hassounah from the Department of Primary Care and Public Health, WHO Collaborating Centre were chosen to present their posters at the 1st Arab World Conference on Public Health held in Dubai this past April. Their topics were: ‘Health Checks in Primary Care: Steps to Improve Population Health’ and ‘Challenges & Solutions: The Case of Egypt’s Health System Performance’ respectively. This update was prepared by Ela Augustyniak, WHO Collaborating Centre.